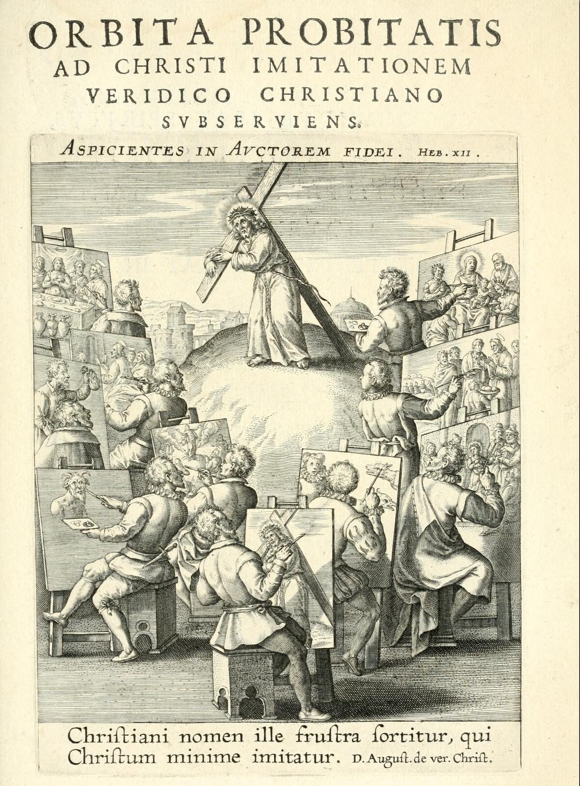 An example of this “presence” at the time of suffering is a plate in Johannes David’s Orbita probitatis ad Christi imitationem, where he shows Christ carrying the cross over the mound surrounded by nine painters seated at their easels. They are painting the event as it is taking place, but they are each painting it from a different “perspective.” It is only the “bad imitator” who is painting Christ as the devil in guise of the woman. 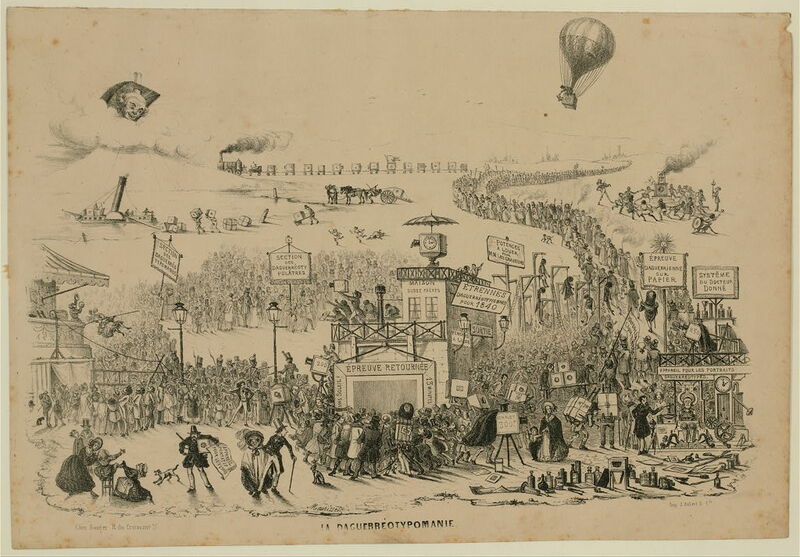 The drawing suggests that crucifixion does not only include the event itself but also includes the historia, that the painters are each painting different scenes of which. Curiously, it is only the painter in the center, who is looking at from the axel point directly at Christ is drawing the representative image. This further emphasizes on the position of both the painter and the viewer in the pyramid construction of the linear perspective. The image also implies the fragmentation of the event as it is happening, the very wandering of the mind that the practice of meditation claims to prevent. The meditative aspects of the drawing aside, it shows how the event and its representation form a single entity. The representation does not follow the event, nor it is based on the narration of the event through the words of the witnesses, but rather its integral to its conception. The crucifixion and its representation are inseparable. Fast-forward to the live coverage of the arrival of US soldiers to the Somalian beach of Mogadishu in 1992, where they were greeted not by clan fighters or starving children, but by flash lights of photojournalists. Fast-forward to Tahrir Sq, the army tanks are surrounded by civilians’ LCD’s, participating, witnessing and documenting the event as it is taking place. Johannes David’s drawing renders crucifixion as a photo-op.